The apartment consists of the entire first Floor with 4 bedrooms (3 double and 1 single) and a shared kitchen with TV, free Wi-Fi, good wireless reception for mobile phones. 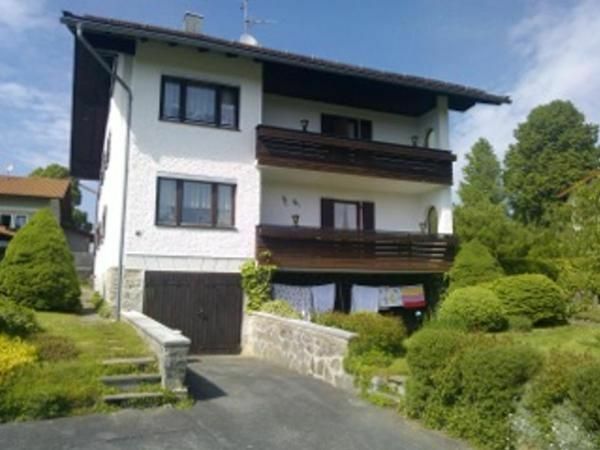 The apartments are located in the middle of Spiegelau, 10 minutes walk to the small forest railway station, 5 minutes to the bus station, shops (3 supermarkets) are only 5 minutes walk away. The special feature of these apartments is: private bathroom for each room and also a private balcony (except one room). The Bavarian Forest is intended for hiking and excursions in summer and in winter for skiing and cross-country skiing. There are many special programs for children and also much untouched nature to discover. - Local tax / tourist tax: per person and day costs of 1. 6 EUR (optional).